My name is Jack Kean and I am the webmaster for this site. Each article was reviewed before including on the site. The articles were taken from the premier article web site, Ezine. The dog is mine. All pictures are my property and available for reuse with permission. By the way, his name is Stonewall. While I am a writer, none of the material on this site was produced by me. The authors are much more experienced and knowledgable about dogs than I am. 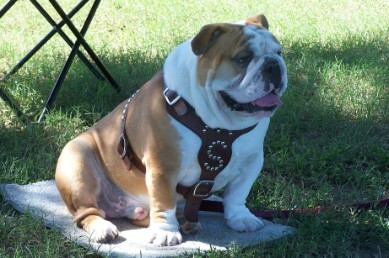 Of course owning an English Bulldog is a crash course in doggie problems. You may send E-MAIL to me if you wish. Read on Kindle or your computer!